I have a problem with people who avoid every sight that's even remotely deemed "touristy". I don't see any sense in going to Paris and avoiding the Eiffel Tower simply because it's the most popular tourist attraction. It may be packed with visitors, and the surrounding areas are remarkably overpriced, but it's also breathtaking. The same goes for other "mainstream" sights such as Barcelona's Sagrada Familia, Neuschwanstein Castle in Bavaria, and Prague's Old Town Square. I'm not going to deny myself of beauty just because a lot of other people in this world think something is beautiful too. As an expat going on three years, I feel the same way about downtown Madrid. "Touristlandia" between Puerta del Sol and the Royal Palace may be teeming with foreigners, but would I ever tell a first-time visitor, "Hey, don't go to Plaza Mayor or the Royal Palace, they're swarming with tourists!" Most certainly not. Sure, I prefer scouting out places off the beaten path, surrounding myself with locals, and floundering my way through ordering food at restaurants where there's no English menu. My favorite travel experiences are always the ones where I seek adventures beyond the guidebook. But I'm also a camera-wielding, sandal-wearing, map-carrying foreigner, and I don't think I'm better than the rest of you. For a well-balanced itinerary, I believe a trip should encompass a variety of must-sees and hidden gems. So then, what do I avoid? I steer clear of overt tourist traps (I'm looking at you, double decker bus tours and wax museums) and mundane activities that seem relentlessly overhyped. My foodie friends have also taught me to abhor overpriced, low quality restaurants that masquerade as authentic. I'm generally short on time and money when I travel, so I'm predictably turned off by the sights and experiences that appear to waste both. Madrid is a magical city, and it should be experienced accordingly. Why settle for disappointing attractions when you could be experiencing Madrid's most spectacular enchantments? You deserve the best. If you're visiting on a time crunch, you'll especially want to prioritize accordingly. 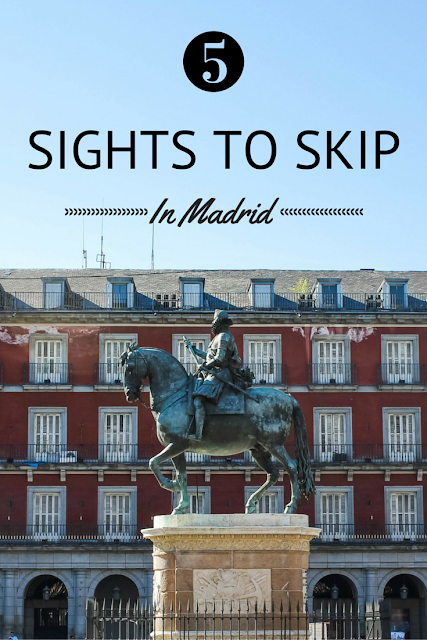 Here are what I believe to be five sights worth skipping in Madrid, along with their more authentic alternatives. From the bottom of my heart, I want Spanish food to wow you. If there is one piece of wisdom I can impart from this entire blog, let it be this: do not, under any circumstance, dine at a restaurant in Plaza Mayor. These overpriced restaurants will not only leave you with a bad taste in your mouth (quite literally), but they are also gross misrepresentations of Spanish cuisine. 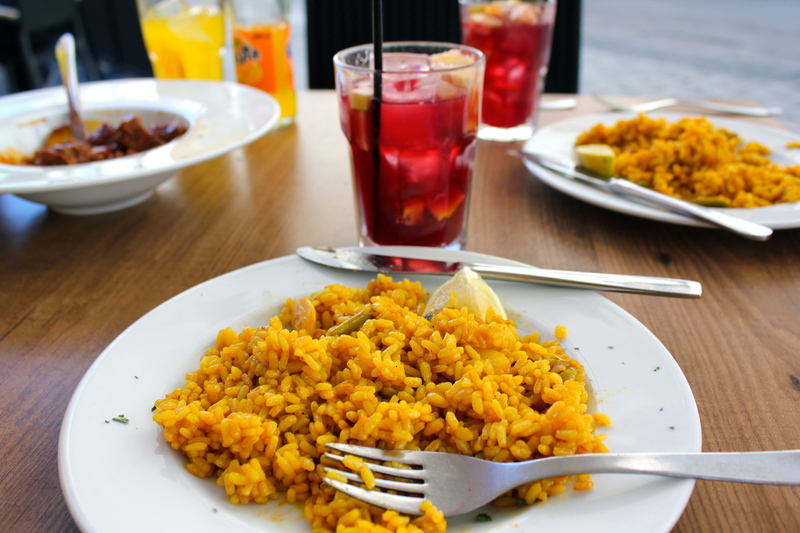 Do not let these establishments give you a poor impression of Spain's phenomenal gastronomy. Unless you love frozen paella and tortilla that tastes like chalk, avoid these eateries at all costs. Just say no to frozen paella. Just a three minute walk away from Plaza Mayor lies Calle de la Cava Baja, Madrid's main foodie drag lined with vibrant taverns and tapas bars. It's hard to pick favorites, but my best bets for tapas in La Latina include Taberna la Concha, Taberna los Huevos de Lucio, Juana la Loca and Txirimiri. For more delectable eateries around the city, check out my list of favorite restaurants in Madrid. I consider this the Manneken Pis of Madrid's tourist attractions. 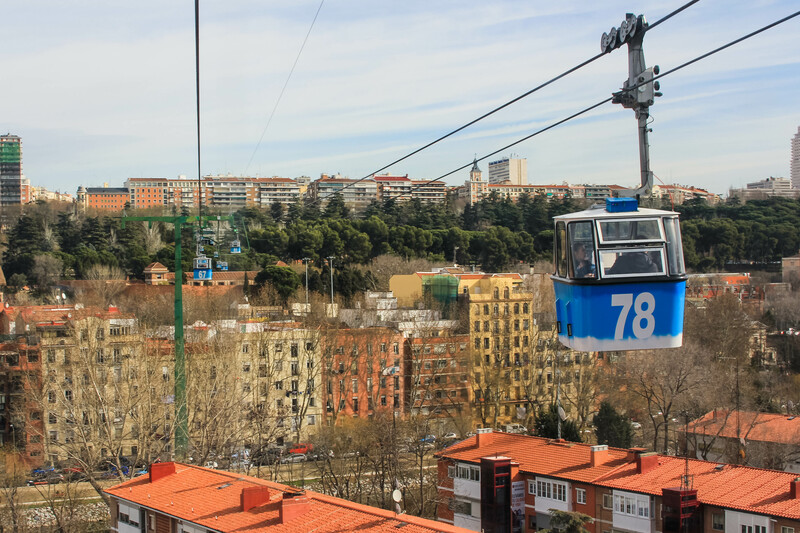 While the first few minutes of the cable car ride boast pretty views of the Royal Palace and Almudena Cathedral, the rest of the ride is rather disappointing. The Teleférico drops you off in the middle of Casa de Campo, where there's nothing but a stark building filled with with arcade games, expensive souvenirs and over-processed food court snacks. The ride isn't a total bust, but it also isn't worth the hype. Seek out more sublime views at one of Madrid's many rooftop bars, such as La Azotea at Círculo de Bellas Artes, Gymage, The Hat or Hotel Roommate Óscar. Not only do these rooftop terraces boast better views than the Teleférico, but you can also enjoy their striking panoramas while sipping refreshing cocktails. It's a win-win! El Rastro, one of Europe's largest and most famous flea markets, takes place every Sunday morning in the neighborhood of La Latina. Vendors line Calle de la Ribera de Curtidores selling everything from leather bags to chipping Spanish antiques. If you sift through enough junk, you can probably find some buried treasures. But what I found was mostly overpriced pieces of plastic. Fellow introverts be warned, the colossal and inundating crowds at this "bustling flea market" nearly gave me an anxiety attack. Inching my way down Calle de la Ribera de Curtidores was practically made impossible by the swarming hordes of window-shoppers. Considering I couldn't even come close to finding any eye-catching souvenirs, I didn't deem this episode worth the trouble. You can find more gems and fewer crowds on Calle Velarde in hipster Malasaña, home to some of the city's best thrift shopping. 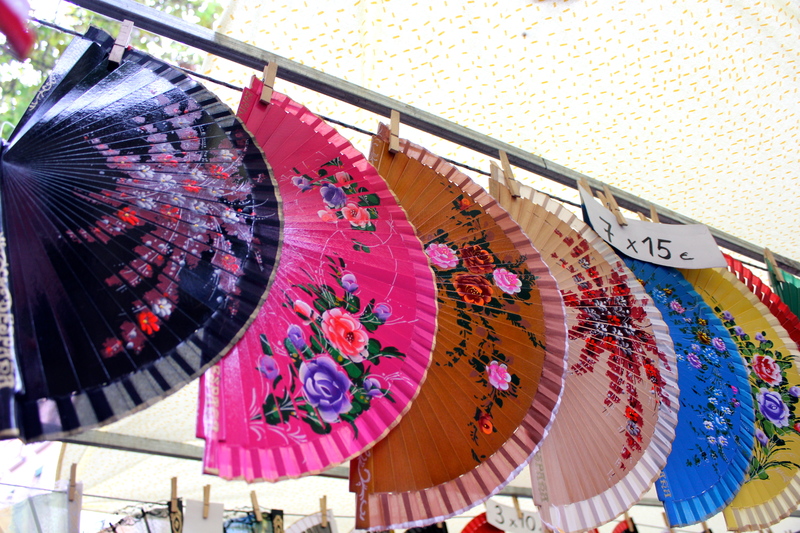 Every Saturday during spring and autumn, Plaza de Dos de Mayo hosts a vibrant street market in the heart of Malasaña. The side streets of Malasaña and Chueca are also abounding with small shops and boutiques that sell locally made artisan goods. Considering how much it has come under fire in recent years, bullfighting could be on its way out in Spain. Since Catalonia banned bullfighting in 2010, more political groups are supporting a nationwide ban on the controversial tradition. 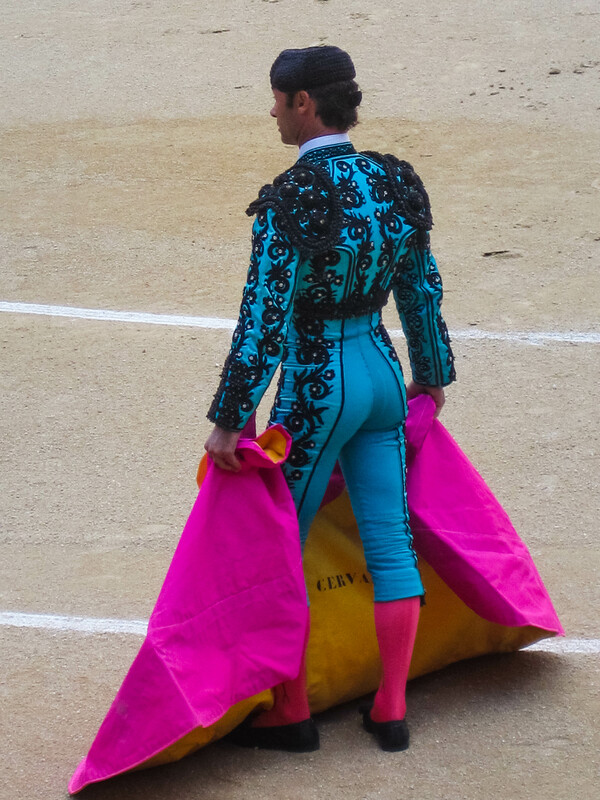 Without getting too political, I will admit that I saw a bullfight back in 2010 on my first trip to Madrid. While I don't regret the experience, I'm certainly not willing to repeat it. I generally have a strong stomach, but I found most parts of the corrida de toros uncomfortably gory. There's nothing happy about a bullfight, and I don't believe it's a true reflection of Madrid's character. Simply put, your short time in the capital is better spent elsewhere. Rather than watching death, seek out Madrid's authentic life. 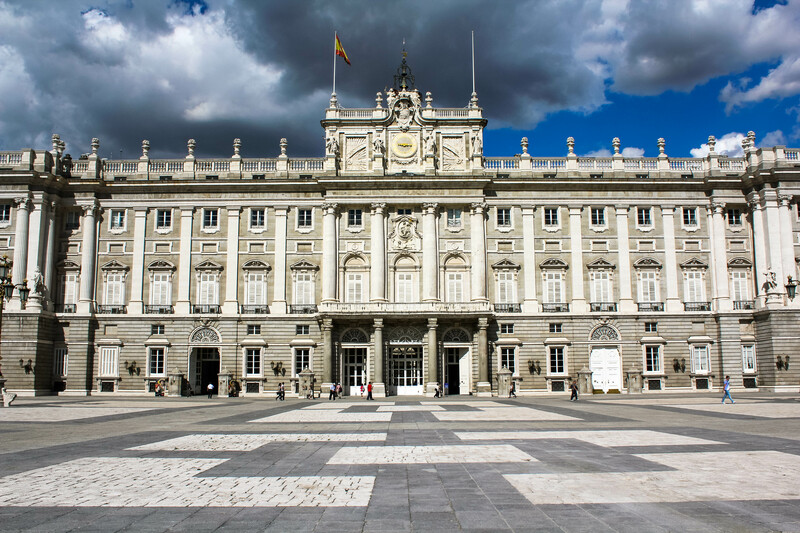 Spend your time doing more pleasant activities that actually reflect the heart and soul of Madrid. Explore the many diverse neighborhoods that make Madrid's personality so dynamic. Wander through the literary quarter of Huertas, enjoy a café con leche in one of the many cozy cafes in Malasaña, or bar hop and shoe shop in trendy Chueca. Drink a tinto de verano in a sunny plaza and admire how madrileños truly know how to live. 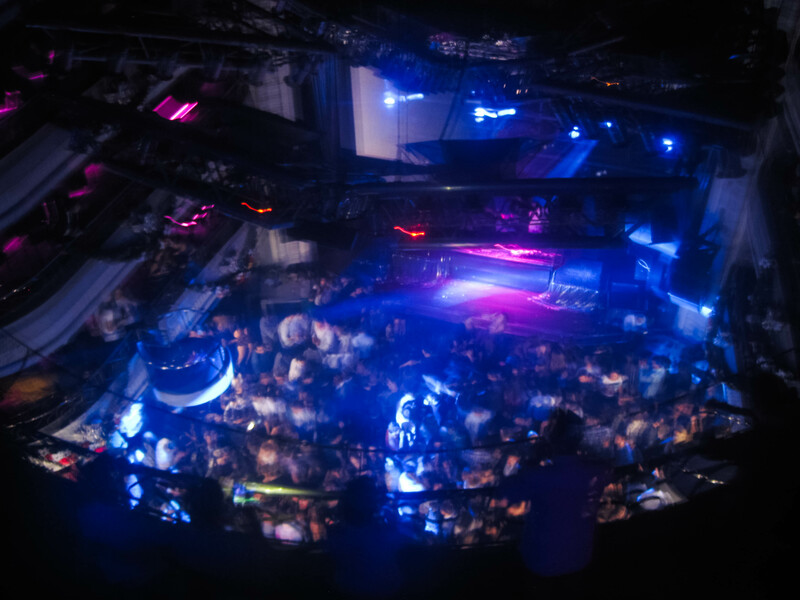 Madrid's infamous seven-story nightclub is basically a European frat party without the free beer. Actually, the steep entrance fee usually includes one drink, so in reality one beer could technically cost you 22€. Frequented by inebriated tourists and study abroad students, Kapital has somehow achieved the status of a Madrid nightlife icon. Have I been? Once. Did I have fun? For the most part. Would I go again? You couldn't pay me. Let's be real, I probably would have loved this nightclub extraordinaire when I was 18. But now, there's only so much David Guetta, cheap vodka and large crowds that I'm willing to subject myself to, and I generally try to keep it to a minimum. So unless your idea of a good time is getting groped by a blacked out Italian and getting your phone stolen, Kapital is probably worth skipping. I've officially lost count of how many times I've heard, "I got my iPhone stolen at Kapital last night!" Head to Barrio Salamanca for a posh night out, or venture to the alternative bars and clubs in Malasaña. Gabana and TClub (Pachá) are my two favorite discotecas, while most of my favorite bars line Calle Pez and Corredera Baja de San Pablo in Malasaña. If you want to groove to Spanish music alongside locals, head to B12 in Nuevos Ministerios. Madrid's diversity is part of what makes it so magical, so naturally, different attractions will appeal to different people. These are just my personal opinions; other visitors, expats and locals may very well disagree, and that's okay! Please note that I am not interested in turning this into a political discussion about bullfighting. What were your favorite sights, and what sights do you wish you had skipped? 1 comment on "5 Sights to Skip in Madrid"